A man has been awarded $2 million by the Supreme Court after being exposed to asbestos. In an over 300 page judgement by Supreme Court Justice Michael Corboy, Simon Lowes was granted approximately $2 million in damages – the highest amount ever awarded in Western Australia for an asbestos case. Lowes, a father of two,was exposed to asbestos when it improperly disposed of by James Hardie, at a railway for children and an orphanage. Lowes has been diagnosed with mesothelioma, which the judge has ruled was caused or at least contributed to, by the actions of James Hardie and their subsidiary Amaca. Lowes stated that the actions by Hardie is a breach of duty that was “unforgiveable” and speculated that many employees of the company must have “guilty consciences”. He is still waiting for an apology by the company. Lowes continued by stating that no amount of money could aid his health but his priority is his two young daughters, aged 10 and 13. Despite becoming ill from 2006, he was only diagnosed in 2009 with mesothelioma. The damages awarded included over $1 million in loss of future earning capacity, a quarter million in general damages, and $140,000 in loss of past earnings.It was revealed in trial that Hardie had been dumping asbestos on the grounds of the orphanage where the waste was used in conjunction with the railway, to fill a swamp and to cover roads. 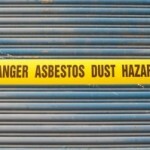 It was in the 1970’s when four- year old Lowes, was playing in the asbestos unknowingly and innocently covering himself in the deadly fibres.James Hardie’s argument was that I was acceptable behaviour in the 1970s to dump asbestos. This is contrary to an internal memo written in 1971 by a safety officer, that stated the dumping was unwise. Despite James Hardie’s best efforts to deny him compensation, Lowes endured the exhausting legal battle, painful surgeries, and constant monitoring and treatment for his disease.There is evidence that indicates that James Hardie has dumped asbestos across Australia.